Ketchum resident Amanda Breen is one of seven candidates running for two open seats on the City Council. Breen said she decided to run for council late in the summer after receiving encouragement from current council members and local business owners. 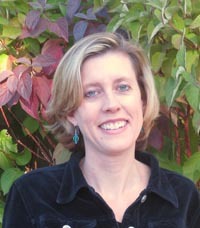 Breen has lived in Ketchum since 1998 after graduating from Stanford University. She is the principal attorney at Amanda Breen Law and has two law degrees from University of Utah College of Law and University College London Faculty of Laws. She said she plans to use her background in business and as an attorney to help the City Council. Breen said one of her long-term goals is to improve Ketchum’s tourism base. If Breen is elected, she plans on giving attention to small start-up businesses in Ketchum, which she says operate under the radar. Breen told the Mountain Express that her platform is centered on improving Ketchum’s economy.